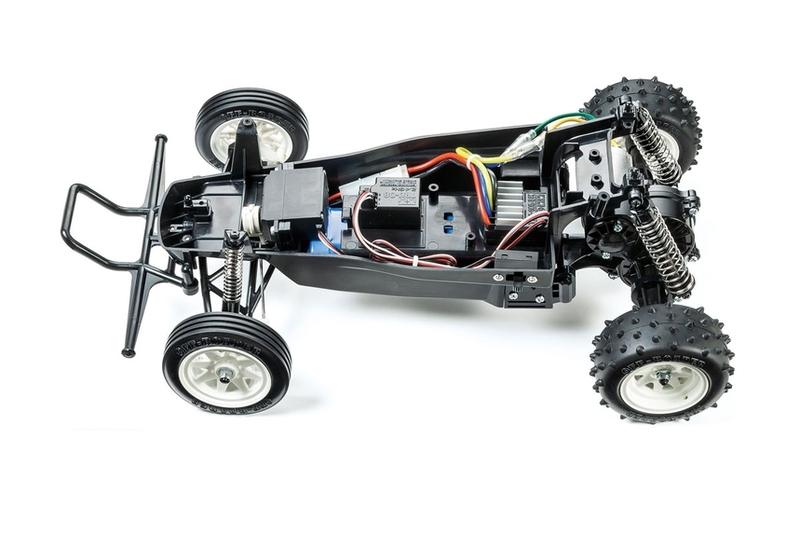 •	1/10 scale R/C 2WD buggy model assembly kit. Length: 400mm, width: 221mm, height: 139mm. 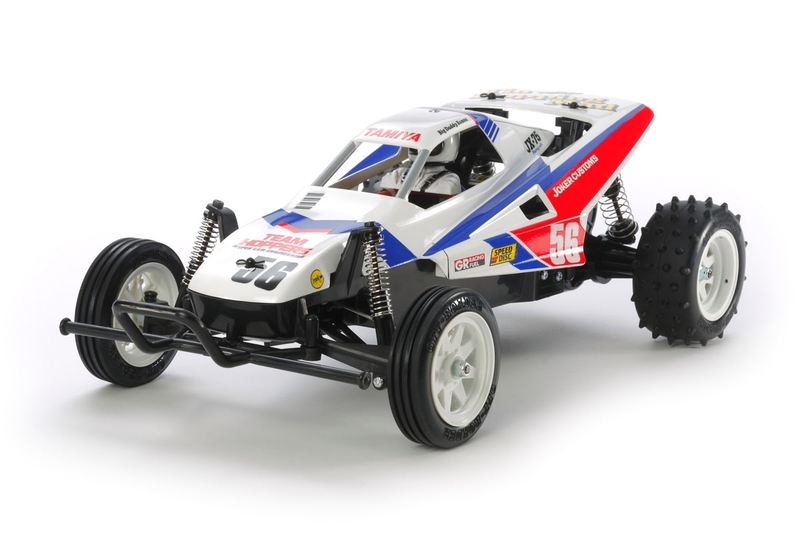 •	The Grasshopper II body is molded in durable white polystyrene resin. •	Includes a driver figure for attachment to the body. •	Features a rugged ABS resin bathtub chassis to withstand the rough-and-tumble fun of off-road driving. 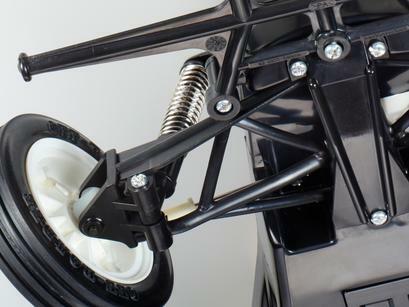 •	Front swing axle and rear rolling rigid suspension setups are actuated by coil-spring friction dampers. 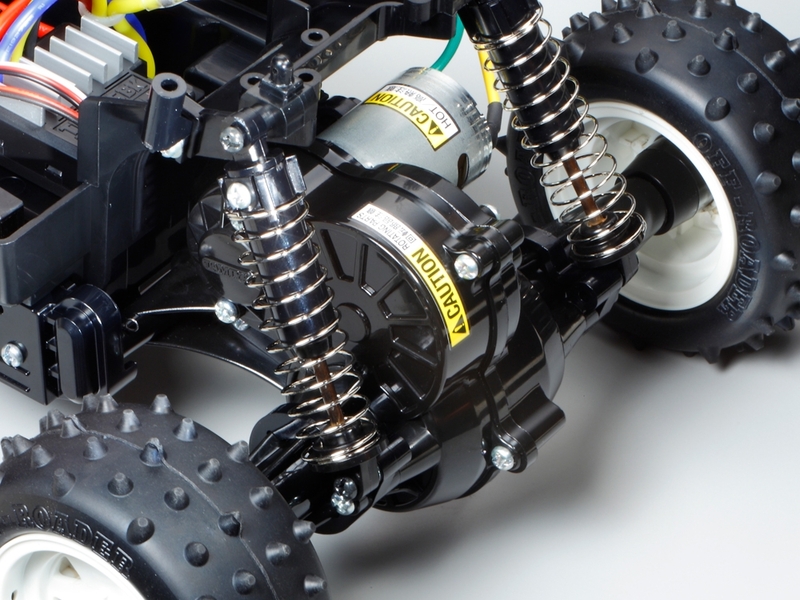 •	Fully enclosed rear gearbox contains a differential gear to aid smooth cornering. 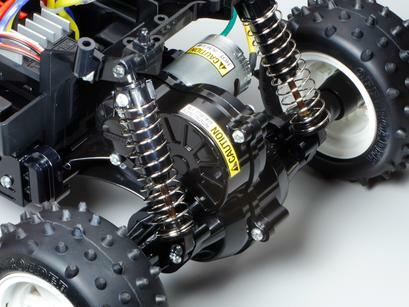 •	Front ribbed tires give great straight-line grip, and rear spike tires provide powerful drive. They are matched with 8-spoke one-piece lightweight wheels. •	Compatible with tune-up parts such as standard Type 540 motors (requires nine 1150 ball bearings & one 850 ball bearing) and CVA mini oil dampers. •	Kit comes with 380 size motor. 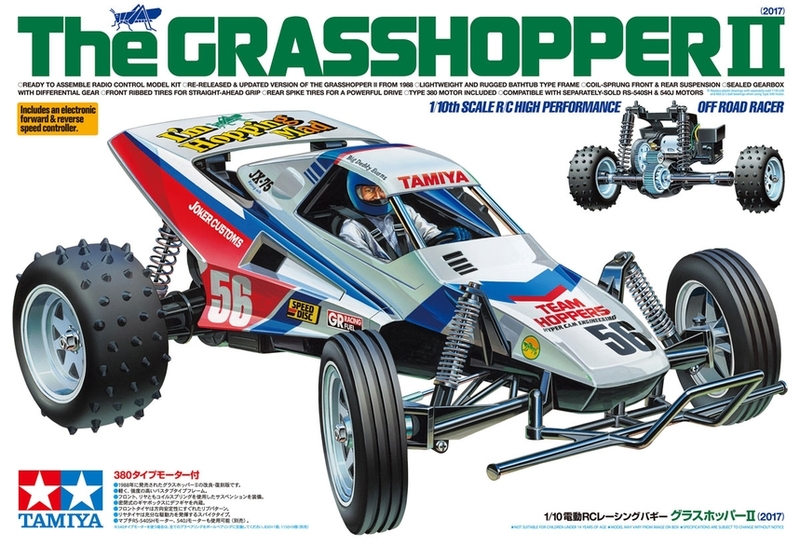 •	Requires 2-channel radio, Tamiya TS spray paint, 7.2volt battery, and compatible charger. Requires A 2-channel radio, steering servo, 7.2volt battery & battery charger, and Tamiya TS paint.